Why ride Park City? How about the fact that you can pedal over 400 miles of singletrack right out the door from world-class accommodations, without ever having to load a bike on the car. Whether it’s buff singletrack, technical downhill trails, freeride jump lines, or epic, lung-busting adventure rides, it’s all just a spin away. Even better news – these first-class accommodations can often be found for a fraction of their winter rates during the summer and Stay Park City is here to help make finding the perfect basecamp for your next Park City mountain bike adventure as easy as possible by offering hand-picked hotels and accommodations at the lowest rates. In addition to being the visionary behind Stay Park City, Jason Linder is an avid local rider and mountain bike racer with over 10 Leadville 100 races under his belt. We recently sat down with Jason to ask his opinion on why Park City should be your next mountain bike destination, as well as why you should book lodging for your next visit through Stay Park City. Why should people choose Park City over other destinations? Park City was awarded the first Gold Level Ride Center Destination by the International Mountain Biking Association (IMBA). That sounds fancy and nice, but what does it mean? My simple answer is the insane amount of incredible and accessible single track for all levels, from buttery smooth trails to bomber, crazy downhill. Plus, as most of us can’t bike 24 hours a day, Park City offers an incredible amount of “to-dos” between rides, from over 100 restaurants and bars to activities for the whole family. It’s also important to note that lodging is a fraction of the price during the mountain bike season than during the ski season, making Park City a surprisingly affordable destination. What makes Park City unique as a ride area? That I can pedal right out my door to just about every trail in the area. The only time I drag my bike to a trailhead is when I leave Park City. That’s pretty unique. What is the vision behind Stay Park City? To provide a fully customized Park City travel site offering the best selection, lowest rates, and the local scoop. Park City is not San Francisco or New York, and shouldn’t be treated as such, as Expedia and everyone else does. 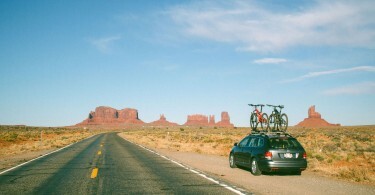 Park City has very diverse lodging options and very distinct areas of town. Stay Park City helps break this all down into a very digestible and interesting format. We pride ourselves on being opinionated about everything on the site, from our favorite place for a beer to the inside scoop about what to know about a hotel. We genuinely speak as if we’re talking to a good friend coming to town and we want to help them get the most out of their trip. Why should people book with Stay Park City instead of other services like Airbnb or VRBO? Price is always a key factor, and with Stay Park City you’ll always get the best rate, if not an even better rate. Plus, with us there’s no guessing about what you’re going to get. All of our accommodations are hand selected (we don’t take everybody) and we’re clear and honest about what you’re going to get. With other site like AirBnB, it can be a headache to find the right place and then you’re subject to the whims and availability of the owner, which can turn out as a great experience, or not. We only work with professionally managed properties and homes. Park City gets a bad rap for only being accessible and catering to the wealthy. 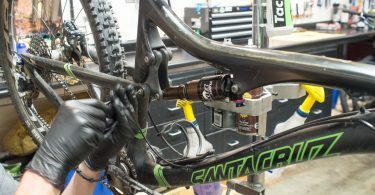 Is it possible to take a Park City MTB trip on a budget? If so, what tips and/or accommodations do you recommend? Definitely. A hotel room that runs upwards of $500/night in the winter can often be booked for under $100 in the summer. Rates often drop as low as $69-$79 range for more moderate properties. I often recommend the condo-hotel route, where you can get a three- to four-bedroom condo and spread the expense between your group. Plus, with a condo or private home you’ll have a full kitchen and living area, which makes staying in both enjoyable and much cheaper. Additionally, we’ve partnered with Stay Park City to select a few of our favorite bike-friendly properties featuring from-the-door trail access, ample bike storage, and popular amenities such as a pool and hot tub for post-ride soak sessions. 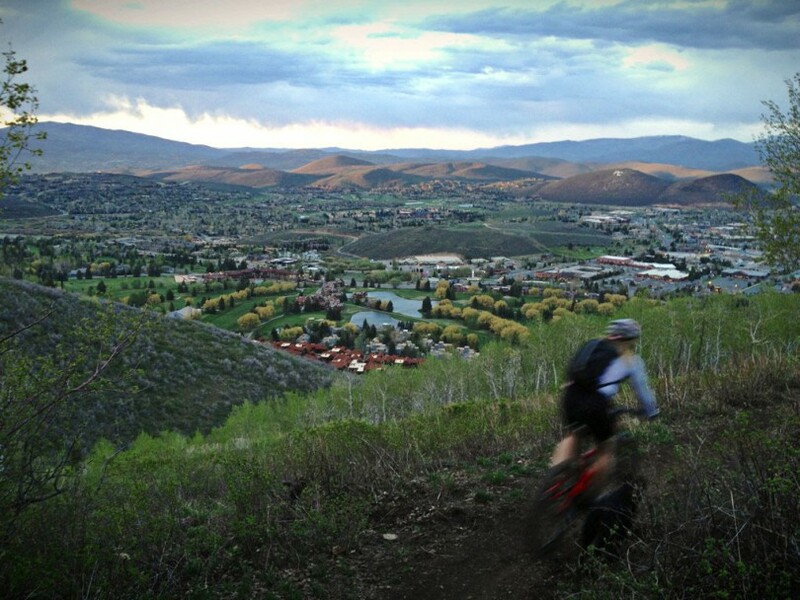 Furthermore, a portion of all proceeds booked through the Stay Park City Mountain Bike Lodging page go toward trail building and advocacy efforts.